Reference number for this case: 15-Oct-54-Tulle. Thank you for including this reference number in any correspondence with me regarding this case. 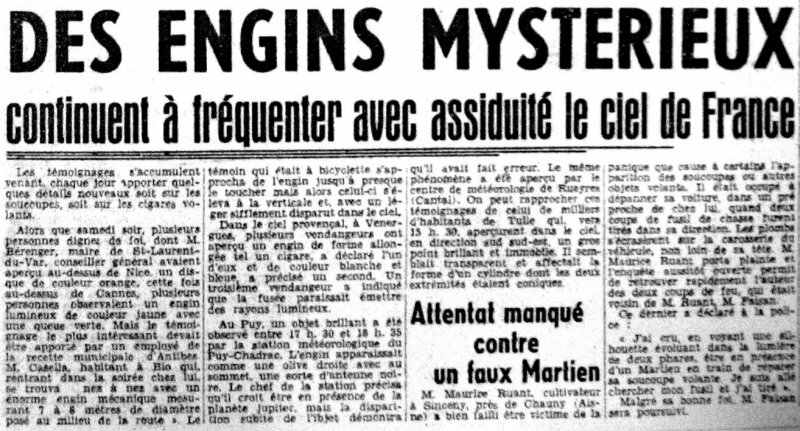 The two authors briefly indicate that on October 15, 1954, what was observed in Tulle was a weather balloon. 1.3 Patrick Gross June 6, 2010 Addition [le1]. 1.4 Patrick Gross February 29, 2017 Addition [ub1].